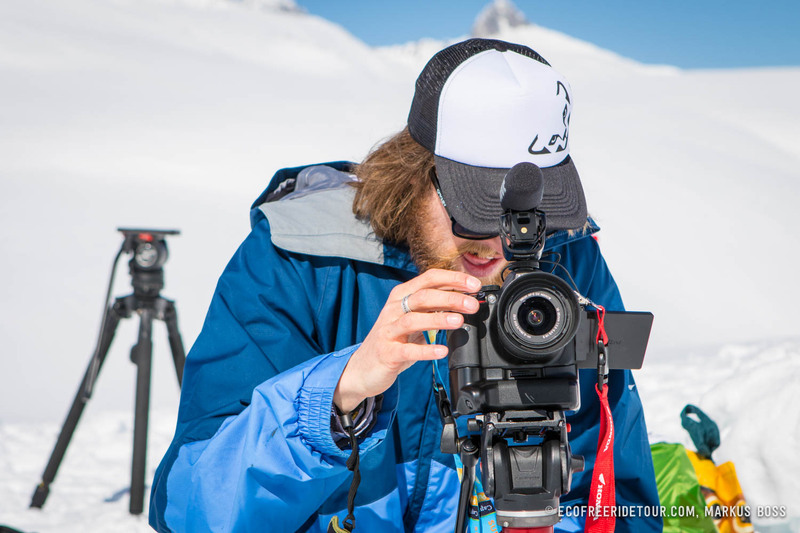 For the eighth time the Kick the Vik Eco Freeride Tour (EFT) Freetouring event took place at the Maigelshütte SAC (Andermatt Sedrun). The birthplace of the EFT treated everyone to spring-like temperatures and sunshine. Snowboarder Ruedi Gisler (SUI) and skiiers Jan Bonetti (SUI) and Hanna Finkel (GER) performed particularly well in the competition, not only with the most creative lines but also with spectacular cliff jumps and a fluid style. In addition to the contest there was an opportunity to learn how to use a compass, a barometrical altimeter and maps in the Suunto orientation workshop. A light breeze was pleasantly cooling for the 35 participants on the climb to the event site in the Maighelstal. The contest, originally scheduled for Saturday, had been moved at short notice to Friday because of the weather forecast. The organiser, Markus Boss, his team and all the participants demonstrated their spontaneity in this and were rewarded by bright sunshine on the competition day. On arrival at the foot of the Piz Piogn Crap, the slope for this year’s contest, essential instructions about the areas for ascent and descent were provided. The final meters of the peak in particular offered a small challenge for the participants: the steep, exposed snow field had to be negotiated with a fixed rope set up by the mountain guides. At 13.00 the first competitor launched into the 45° steep gorge. The slope then opens up over a width of approximately 300m and offered a wide variety of couloirs as well as many rock-spiked fields with variable snow conditions. This required the participants to choose their line quickly. Here we found out who had the experience to recognise where the best powder snow was. The individual lines and routines were reflected later in the participants’ descent. Every performance was honoured with applause at the finish. Powder turns, jumps with turns over snow cornices and rocks as well as fluid lines through steep terrain provided an interesting spectacle for spectators and fans. After an exciting competition, the courageous competitors and their friends enjoyed the last rays of sunshine with a cool Feldschlösschen beer. And the evening ended with a friendly gathering in the hut with like-minded people. It is moments like these that make the “Kick the Vik” events something special. Unexpectedly enticing conditions on Saturday provided the chance to explore the varying terrain still further. Small groups quickly came together for different tours around the Maighelshütte. Aspiring mountain guide Raphael Imsand provided his professional knowledge of orientation in alpine terrain. With maps and compass the participants planned tours in avalanche conditions and practical ascents in poor visibility. In addition to the approximate position, peaks and azimuths were determined and coordinates were measured. Mountain guide Daniel Loutrel’s group climbed the 2,766 metre high Piz Plaunca Cotschna to enjoy the last pristine powder snow down into Val Curnera. After the sumptuous dinner, the next item on the programme was judging of the riders. The entire hut, with hosts, staff, other visitors to the hut and of course the EFT crew watched the video recordings attentively. All the contestants assessed their fellow competitors on the basis of the following criteria: fluidity; choice of line; control; and style when jumping and landing. In the men’s snowboard category, Ruedi Gisler (SUI) showed the most stylish line. On skis, Jan Bonetti (SUI) gave a convincing performance with an impressive cliff drop. In the women’s section, Hanna Finkel from Allgäu (GER) demonstrated the most fluid line with an expert jump at the end. After the awards ceremony on Sunday morning, everyone took their leave of the hospitable hosts, Pia and Bruno Honeggar. A short climb up the 2,614 metre high Piz Cavradi offered another long descent to Tschamutt through a steep, hard couloir, but with a powdery run-out into the valley. An adventurous bivouacing workshop is on the horizon for the friends of the EFT, taking place from 27th – 29th March in the Tyrolean Kaunertal. 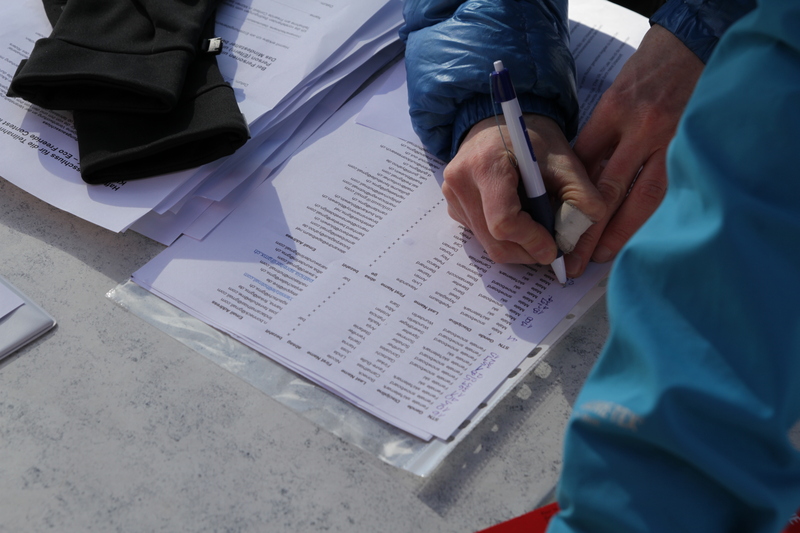 The final EFT Stop takes place from 2nd – 5th April at the Forno Hütte in Maloja.